Features include Power Front Seats, Technology Package, Cold Weather Package, Premium Package, Driver Assistance Package, Rear Side Widow Shades, and much more! Certified Pre-Owned! Features include Servotonic, Xline Package, Rain Sensing Wipers, Automatic Trans., and much more! Features include Rear-View Camera, Premium Package, Park Distance Control, 1st Row Sunroof, Heated Front Seats, Rain Sensing Wipers, and much more! Features include Moonroof, Burl Walnut Wood Trim, Navigation System w/ Touchpad, Heated Side Mirrors, Rain Sensing Wipers, and much more! Certified Pre-Owned! Features include Heated Side Mirrors, Rain Sening Wipers, Refrigerated Box, Manual Transmission, and much more! Certified Pre-Owned! Features include Driver Assistance Package, Heated Front Seats, Navigation System, Burl Walnut Wood Trim, and much more! Features include Premium Package, Lighting Package, M Sport, Driver Assistance Package, Technology Package, Cold Weather Package, and much more! Features include Sport Line, Driver Assistance Package, Navigation System, Rain Sensing Wipers, Heated Side Mirrors, and much more! Features include Executive Package, Driver Assistance Package, Surround Sound System, Carbon Ceramic Brakes, Rain Sensing Wipers, and much more! Certified Pre-Owned! Features include Driver Assistance Plus, Heated Front Seats, Soft-Close Automatic Doors, 1st Row Sunroof, Navigation System, and much more! Certified Pre-Owned! Features include Heated Front Seats, Premium Package, Navigation System, Burl Walnut Wood Trim, 8-Speed Steptronic Auto Transmission, and much more! Certified Pre-Owned! Features include Heated Front Seats, Power Front Seats w/ Seat Memory, Burl Walnut Wood Trim, 1st & 2nd Row Sunroof, and much more! Certified Pre-Owned! Features include Apple CarPlay, Technology Package, Driver Assistance Package, Cold Weather Package, and much more! Features include Side & Top View Cameras, Heated Front Seats, Premium Package, Driver Assistance Package, 1st Row Sunroof, and much more! Features include Heated Seats, Xenon Headlamps, Pre-Wiring for Becker Map Pilot, Refrigerated Box, Automatic Transmission, and much more! *Plus tax, license and fees. One available at this price. 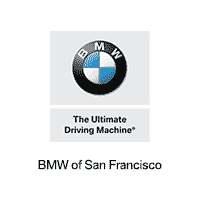 BMW Select must be approved superelite at BMWSF. See dealer for details.